What's it all mean? All Vermont maple syrup is graded according to its color. The darker the color the stronger the maple flavor. Golden Delicate is the lightest and has the most delicate flavor. We'll leave it to you to explore and find what "maple bouquet" suits your taste buds best. A dark amber color with a more pronounced maple flavor, suited for both cooking and the table. Please note: The comparison to the former grading system is approximate. 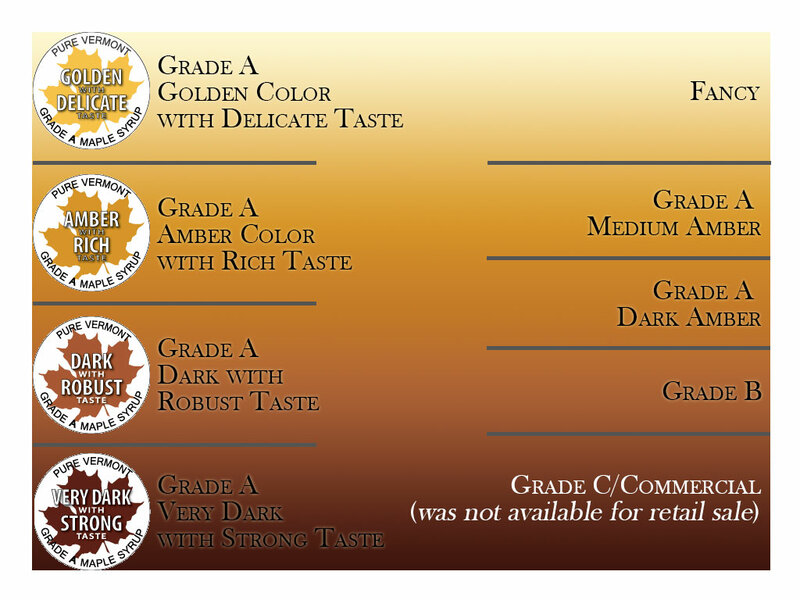 For both Dark and Very Dark grades, customers will find that the flavor is a little stronger than in the old grading system and they may want to adjust accordingly. In 2014 Vermont's maple syrup grading system has changed. The maple syrup grades we had been using were based on a system created when maple syrup was a substitute for cane sugar, which was not widely available. 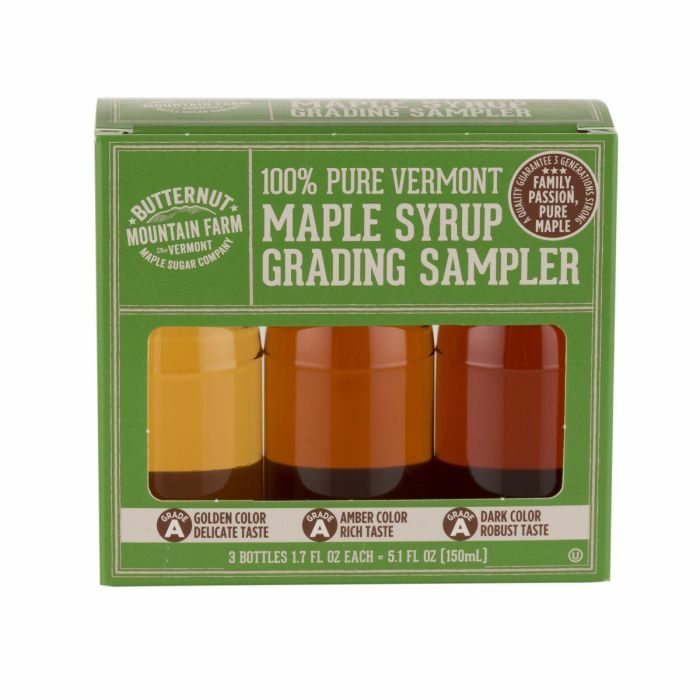 The new grades provide better descriptions, with each of the classifications having a color and flavor descriptor, helping customers pinpoint the exact syrup they want to purchase. For years, Vermont's four grades of maple syrup had differed from New York's, Maine's, Canada's and others. This created confusion within the marketplace and our new grades will be aligned with all other states and provinces, so that we all use the same grade names.